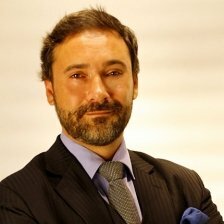 Fernando’s is a recognized Expert and his professional career highlights include roles as CEO, CSO, GM, Marketing, Sales, Operations, Program & Project Manager at leading companies such as Proudfoot (US), Matrix (UK), PwC (Spain), McKinsey (Portugal), IIC (Belgium) and IMP (France). Fernando owns a DipHE in Industrial Engineering by the Science School of Cachan (Paris), a BScIT by the ESCP (Paris), a MBA by the EAP (Oxford), and he is finishing his Phd in Strategy & Organization at the Swiss Management Center (Zurich). He speaks fluently French, English, Spanish and Portuguese and likes to take advantage of the international Projects he is always involved in to continuously improve his Italian, German and Chinese.